You are most welcome to us! 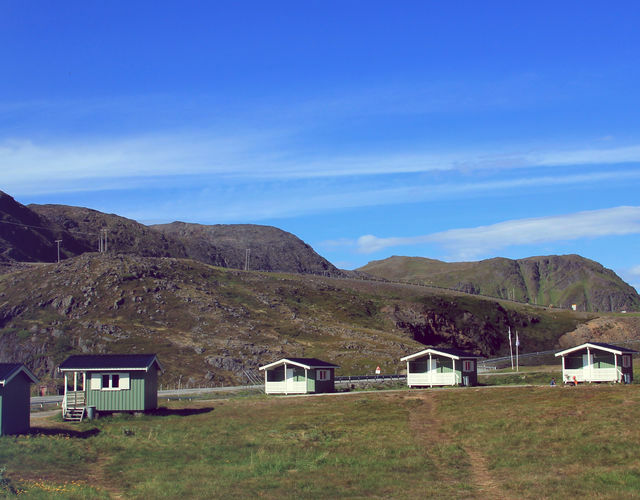 Welcome to exciting days at Nordkapp Camping in Skipsfjorden, only 24 km from Nordkapp - Europe's northernmost corner. Here you live in the midst of the 71 ° north nature experience, whether you sleep in our cabins and rooms, in your tent, caravan or camper. 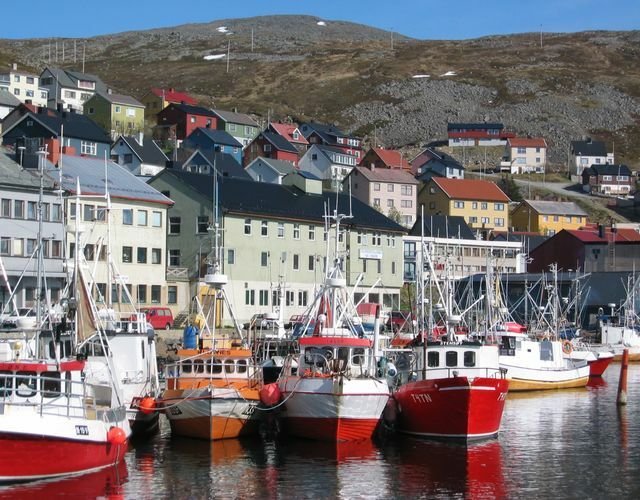 Nordkapp and Magerøya are full of exciting experiences for the whole family. 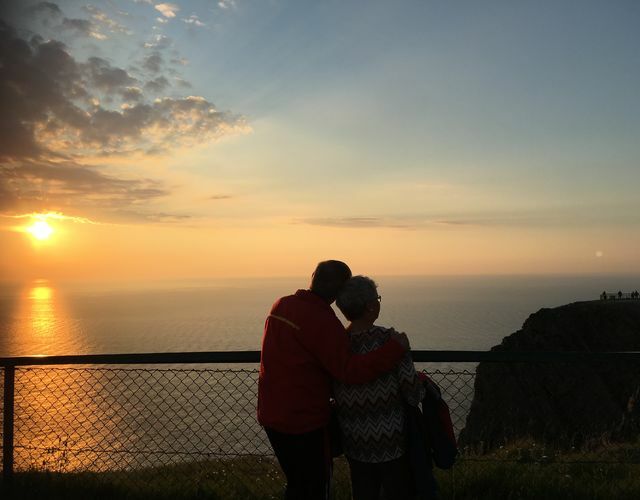 Here you can experience midnight sun and northern lights, stand on Nordkapp to experience Europe's northernmost point, catch and taste king crabs and fish, experience the birdlife in Gjesværstappan or do the hiking to the absolute farthest north of Europe, Knivskjelodden. Between 14 April and 31 July we have midnight sun. In this period the sun is over the horizon all night. The northern lights appear on the sky as soon as the evenings darken, so already in September it is great conditions to experience a dancing Aurora Borealis on the evening sky. By walking about 2,5 hours from the road to North Cape (E69) you reach the absolute northernmost point of Europe. 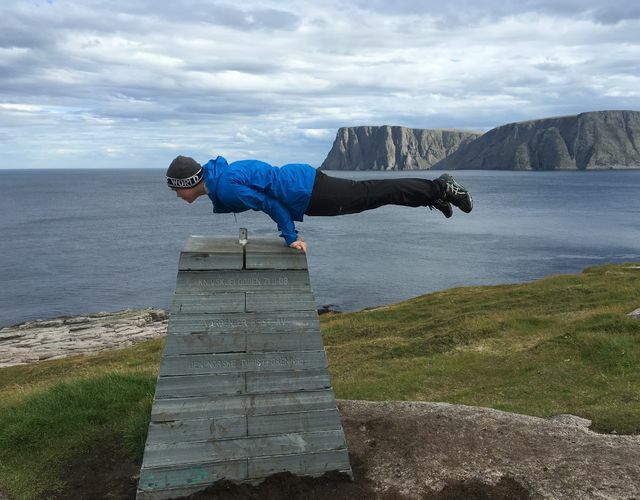 You will be standing 1450 meters further north than North Cape mountain! The trail is 9 km each way. As a reminder that you really have been at the northernmost point of Europe, you can buy a diploma for NOK 50,- at Nordkapp Camping. 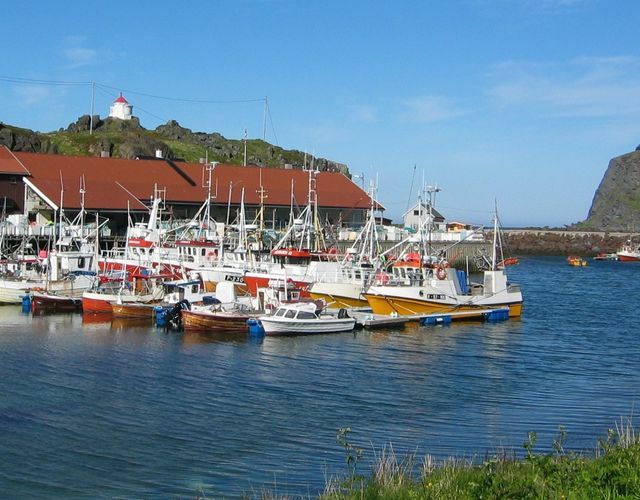 On the way to Nordkapp you should stumble into the fishing villages in Magerøya; Kamøyvær, Gjesvær and Skarsvåg. Here life is about fishing! 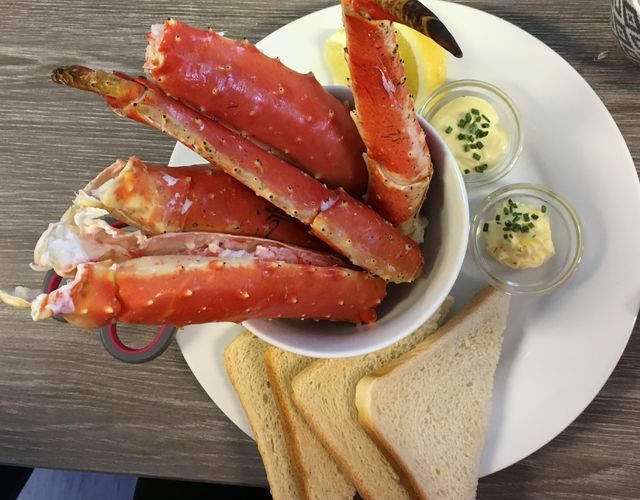 Indulge in the taste of freshly caught king crab. Here you can join the sea to catch it or take a great meal. 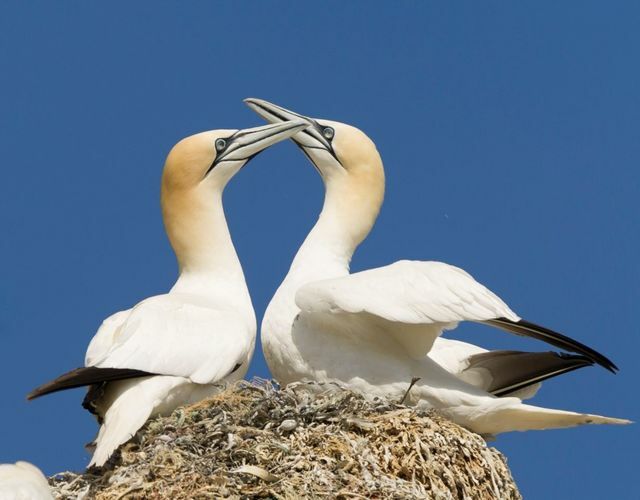 Each spring, the bird's mountain wakes up from the winter shelter when millions of nesting seabirds come in from the ocean. A powerful natural experience. 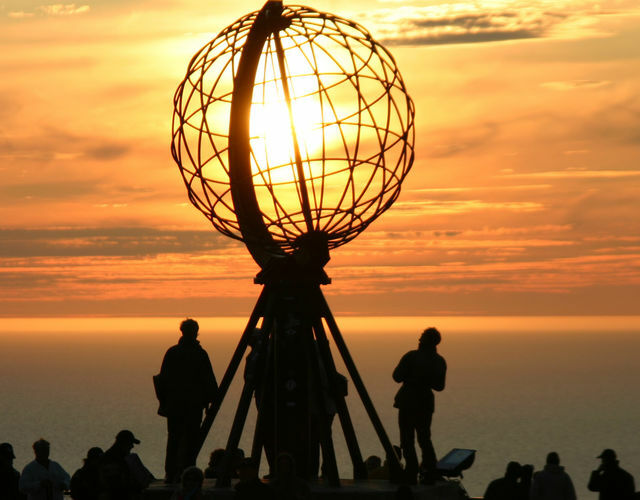 Wondering what it's like to live in Nordkapp? 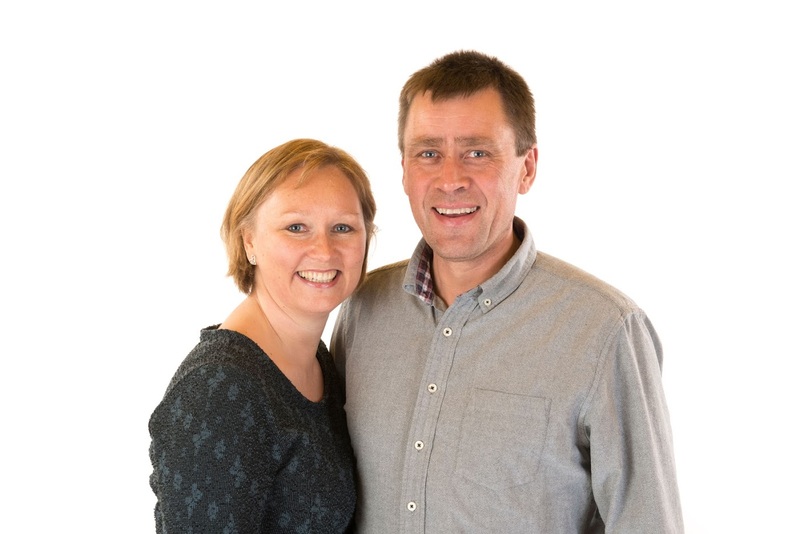 Want to know more about our story? Local young talents convey through humor, singing and dancing our strong story. Only our church survived World War II, so it means extra for us. It was home to us the first time after peace in spring 1945. 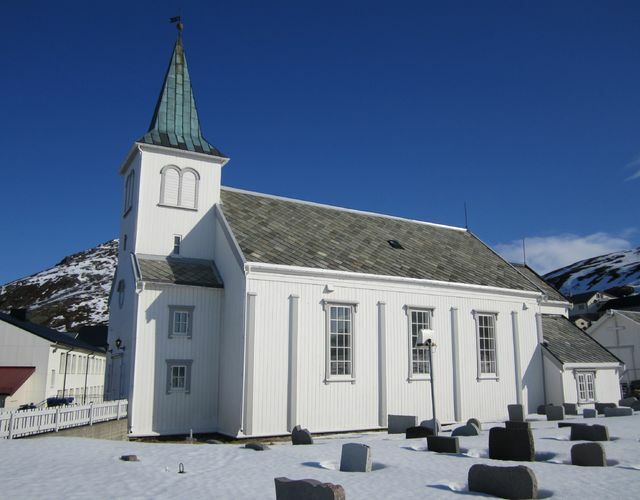 The church is open for visits. On the way from Honningsvåg towards Nordkapp (E69) you will reach Østerelva with a beautiful little sandy beach. Feel free to take an Arctic bath! With us it is quiet. The wind, the birds and the sea dominate the sound image. Take time to rest your body in the heather, and your eyes towards an infinite horizon. Relax and feel how new energy from the north flows towards you. 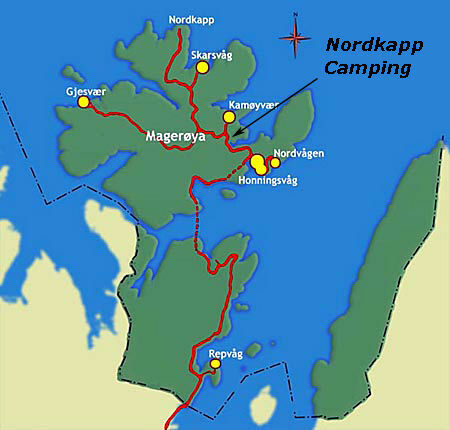 Nordkapp Camping is located in Skipsfjorden on Magerøya in Nordkapp municipality. We are 8 km outside Honningsvåg in the direction of Nordkapp. From us it is 24 km to Nordkapp. You can travel here both on the road, by plane and by Hurtigruten. The distances between us are great, but fortunately the roads are good. 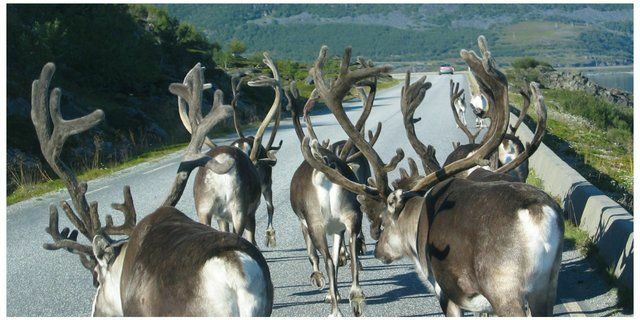 In some places, the road can be narrow, and in the summer you may find that reindeer blocks the road. When you drive to us, you pass the subsea car tunnel Nordkapptunellen. The tunnel goes under Magerøysundet between the mainland and Magerøya. It is 6,875 meters long and runs down to 212 meters below sea level. The tunnel was opened in 1999. The largest increase in the tunnel is 10%. It is free to drive through the tunnel. The tunnel has cold debris at each end that keeps the cold out in winter, to avoid ice formation in the rock walls. These ports open automatically when a car is approaching. In the summer the ports are always open. In total there are four tunnels to pass from Olderfjorden to Nordkapp Camping. During the winter, columns can be set up if large amounts of snow create problems for driving. Road information at www.175.no. In Honningsvåg you can rent a car at Nordkapp Bilservice (http://en.nordkappbilservice.no/). 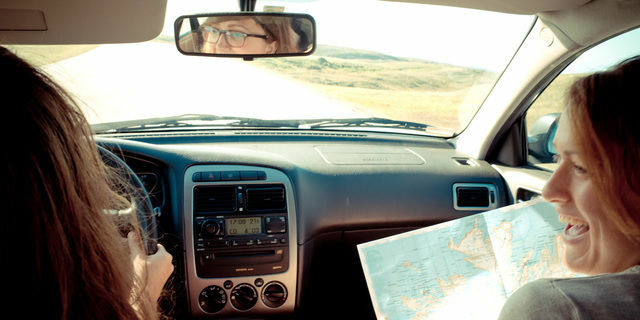 With your own car you can easily move around both on Magerøya and in Finnmark. 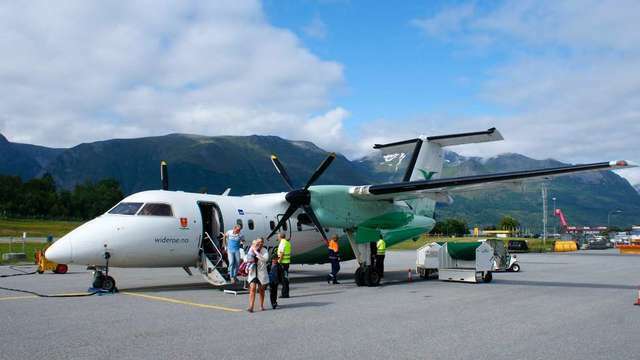 Banak Airport Lakselv (193 km to Nordkapp), Alta Airport (238 km to Nordkapp) and Kirkenes Airport (590 km to Nordkapp). The nearest international airport is Ivalo Airport in Finland (421 km to Nordkapp), which represents a driving time of approx. 6 hours. 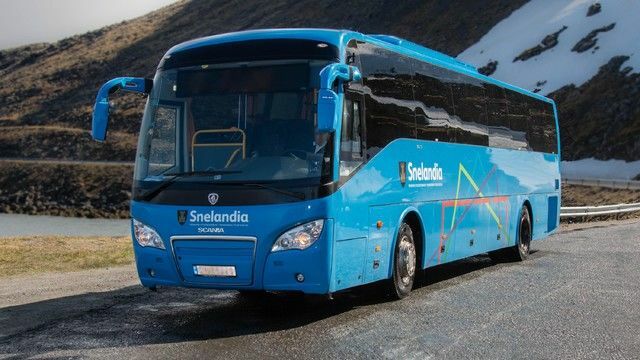 If you arrive by plane to Ivalo, the bus company Eskelisen Lapin Linjat helps you directly to Nordkapp in the summer months. It is possible to go by car, motorcycles and bikes on Hurtigruten. 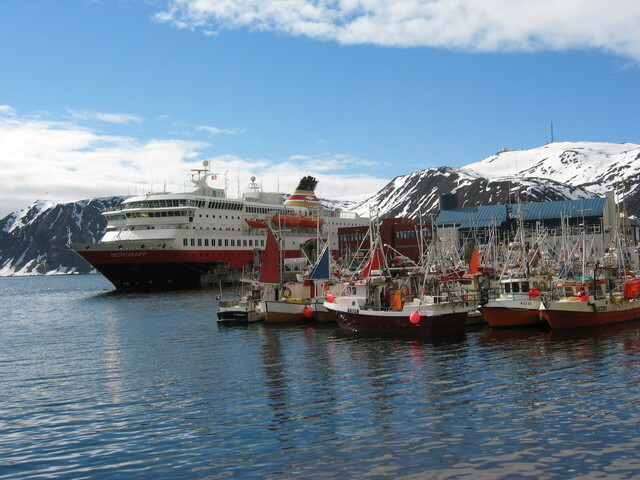 From Honningsvåg harbor it is 8 km to Nordkapp Camping.